Assistant Editor: Tom Palmer Jr. This issue is split into several smaller stories, as a sort of "bridge" issue from one status quo into the next, and as something NOT just another issue of any of the then-current four ongoing Superman titles. We have a short piece as the WGBS special recounting Luthor’s life for the public, and get Luthor’s feedback on it. We get a scene between Luthor and Batman as Batman demands "the ring" or the Presidency, setting up some future conflict. Another story has Jimmy talking to Lois and Clark about where they were when they heard Luthor was running for president…and then, as the race is called, we get another short story seeing Superman venting his rage at the news. The issue closes with a short piece between Superman and Lana, acknowledging continuity back to Superman #2, reminding us of the long history between characters and some important dynamics between the characters. Sprinkled throughout, we have some in-universe ads. When I read Superman #164, I intended that to be an isolated thing. And reading just that, just one single issue, it was what it was. Reading this rekindles something for me, as I’m exposed to multiple creative teams within the then-current overall Super-team of creators. I’m reminded of just how much the supporting cast played into the comics, with actual Lois, Clark, AND Jimmy getting page-time, along with Luthor, Cat Grant, Perry White, and so on. It’s also easy to forget both No Man’s Land as well as the fact that in the early 2000s, Luthor and Batman had quite a thing going, with Luthor starting to seem almost as much a Batman foe as Superman (to say nothing of the DC Universe as a whole, all the more becoming THE US President of the DC Universe continuity!). 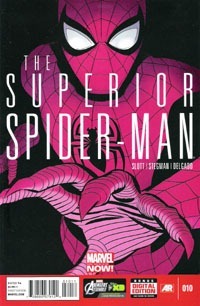 This is functionally an "anthology" issue, in terms of having multiple shorter stories and multiple creative teams, and though the stories all play together, all form part of the continuity of the issue, and all advance the overall story, each giving us some progression, it’s still different from a standard single-story issue. But for what it is, I definitely like that! The writing all works together, and while not all the art is 100% to my liking (at least now in 2016), it all works well enough. The only jarring part to me is the initial piece with Superman punching an asteroid when we shift into flat-out, unapologetic Ed McGuinness art…a style that doesn’t work as well for me now, being used to contemporary stuff, but does an excellent job of bringing that feeling back of reading these comics and others of this time period as they came out. 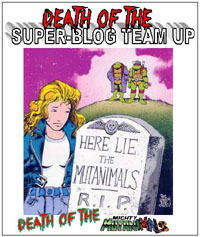 I honestly did not remember what this issue held, what to expect of it: I’ve had the cover to go on for awhile, but until I actually sat down to read this, I couldn’t remember if this was in the style of the Newstime: The Death of Superman issue or not…I was quite glad to find this was not like that one, outside of the magazine-style opening page, and some of the "ads" throughout. This was an extra-sized issue, and extra-priced, too…carrying a whopping $3.50 cover price (to the then-usual $2.25!). I am not sure if I have any duplicates of this issue…this being one of those in-continuity "specials" that kinda took the place of or rendered the Superman: The Man of Tomorrow title moot, I don’t feel like I see these in bargain bins as often as standard issues. Reading this after having just read the issue preceding it, I feel like one would certainly appreciate this a lot more with context of surrounding issue. Yet, ultimately, this does stand alone pretty well in that the stories are not continuing off some previous cliffhanger, nor do they end on a "to be continued" or such. They pick up on existing plot threads, and play with those, and move stuff forward. I would have little problem recommending this issue up to a dollar bin purchase (beyond your standard 25 or 50 cent bin), though I’d recommend making sure you’re interested in READING it if you do. This issue opens with Jimmy Olsen getting into some trouble, requiring rescue by…well, Superman would be great, but he’s saved by Bizarro #1 instead! 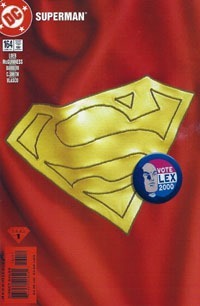 While Jimmy deals with the wackiness that his life quickly becomes with Bizarro’s presence, we see Superman and Lois met by Batman, who confirms that there’s no way for them to prove Luthor’s not who and what he claims to be…they can’t throw any last-second interruptions into Luthor’s bid for the presidency. Later, we find Superman watching numerous news reports of the unfolding election night, and J’onn offers a moment of levity against Superman’s rising stress. Meanwhile, Jimmy again finds himself in need of rescuing…this time, an unfamiliar Supergirl shows up. Though the two share a bit of a connection, that’s quickly interrupted by Bizarro. A slugfest ensues, ultimately stopped by Superman…whose presence is a bit unsettling to Jimmy. Finally, we end with the question: is Lex Luthor about to be the President-Elect? I certainly never appreciated this issue when it came out, back in November of 2000. And I actually recall feeling like I missed an issue somewhere, between this and the one that came the following week. Now, of course, it feels quite appropriate, and I dug it out for a re-read specifically for the timing here…November 2016. The art is solid enough, though a bit cartooney…as is McGuinness‘ style. I didn’t care for it much back then, and don’t find it entirely appropriate here…but it works, and the art has certainly grown on me…if only for the nostalgia-effect. This issue came out sixteen years ago, and I remember this issue and this period of Superman comics when I was getting the issues brand-new each week. The story works quite well for me here, and I rather appreciate the glimpse into Jimmy’s side of things. It also gives the reader an entry-point that made this work pretty well as an isolated read, recalling solely that Luthor was running for president, and that this takes place within a couple issues of the Emperor Joker stuff. Which of course explains the new-ness of Bizarro to Jimmy; and this also seems to take place around a major change in the then-current Supergirl title…a lot of changes coming together in one issue. It’s eerie how appropriate the story is at present, given the nature of the 2016 US Presidential Election. 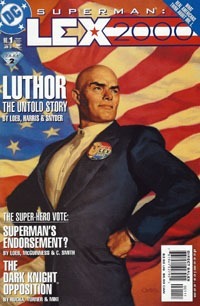 And I think it’s safe to guess that pretty much everyone sees "a Luthor" in the race. Given all he knows about Luthor, Superman still trusts "the people" and "the system" to see that Luthor can’t possibly actually be elected President. And despite the obvious in terms of relating to someone of his position and powers and all that (to say nothing simply of being a fictional character! )…I find it quite relatable seeing Superman’s reactions in this issue. Then there’s knowing how it all goes, and even ultimately turns out in issues succeeding this one. This worked far better than I would have expected as an isolated one-off. It’s by no means a jumping-on point in an ongoing sense…but I would say is one of the better issues to just sit and read. You have Superman himself as well as primary supporting characters, and this draws on subplots that’ve built up and also sets things for issues to come. Common as the comparison’s become…it’s like watching an episode of an old tv series one remembers, and enjoying the episode as itself, recalling enough to get by but not necessarily being fully immersed in the ongoing story anymore. If you’d find this in a bargain bin, it’s well worth getting, particularly 25 to 50 cents. Above $1 I’d avoid it for casual readers…fans of Superman in general, McGuinness‘ visuals or this period of the character might be more interested. With this issue, we’re back to the “real” reality/universe/timeline/whatever. The 616 Marvel Universe. Bishop and his mission was a success, and by stopping Legion from killing Xavier…the Age of Apocalypse never happened, things have been set right. Or have they? 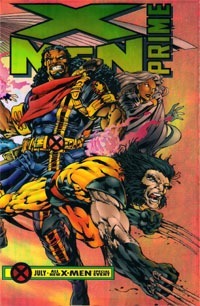 We have a bunch of plot points sharing this issue…while the various Age of Apocalypse mini-series led into X-Men: Omega, this issue now serves as the focal point for the return of the “regular” X-Men titles…as a “regular universe” Alpha issue to introduce readers to the current status quo of the characters and teams that make up the X-side of the Marvel Universe and send the readers into the mix of titles having had this bit of setup for where things are moving forward. 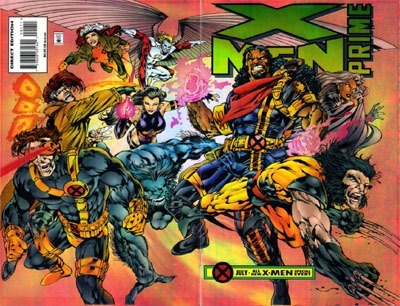 I do think that if Free Comic Book Day had been around in 1995, this would certainly have been a Marvel offering…an in-continuity quasi-anthology to get readers to jump aboard the entire line of X-comics. I can’t say I’m honestly all that thrilled with this issue on this re-read. I certainly appreciate that there are “only” two writers credited, offering a bit of consistency to the story side of things. The issue is quite a mix visually due to the numerous pencilers and inkers getting their chance to work on pages presumably germane to the individual titles. Reading through this time, I noticed a bit of wonky art at points, but somehow was not particularly jarred by the shifts…perhaps for familiarity with the Age of Apocalypse stuff as a whole. 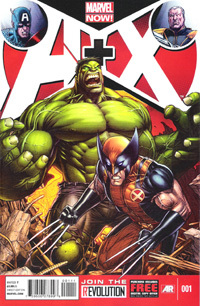 After the shiny “chromium” covers for X-Men: Alpha and X-Men: Omega, seems Marvel felt the need to give this a special cover as well–a clear plastic-ish thing with an inner orangey background. We also get the “alternate” X-Men logo, with the Prime part next to it…and the whole thing is a wrap-around (which I very much appreciate 20 years later in an age of VARIANT “interlocking” covers). The story introduces or re-introduces some characters–and I even see hints of Onslaught in this reading. We find out that several characters–Nate Grey, Dark Beast, Sugarman, and Holocaust–escaped the Age of Apocalypse and wound up in the real timeline. Nate first appears in the “present,” while Magneto’s Acolytes only now in the present discover what will be revealed to be Holocaust…but Beast and Sugarman arrived 20 years ago, and were responsible for the Morlocks and Genosha’s Mutates, respectively. Marrow is reintroduced, aged twenty years from a prior appearance…Rogue and Iceman are on a roadtrip, the former haunted by whatever she saw in Gambit’s memories (Gambit’s in a coma). Trish Tilby reveals the Legacy Virus to the public along with the knowledge that it’s affecting humans as well as Mutants. X-Factor chases Mystique and Havok’s powers act up on him; X-Force’s base is destroyed. Wolverine is living in the woods outside Xavier’s mansion (refusing to reside under the same roof as Sabretooth) and Bishop is having unconscious outbursts as a result of the visions he’s having as a result of his temporal status in relation to the Age of Apocalypse. Amidst all this a mutant seeks the X-Men but winds up victim of humans lashing out against something they fear and do not understand. This certainly sets up the various X-titles moving forward, so for that alone is pretty much an “essential read.” Yet, unless one intends to pursue those issues from mid-1995 that this is immediately germane to, there’s not much to really dig into singularly with this issue. Outside of characters involved and how they now will interact in the 616 universe, there’s no actual story-content directly tied to the story of the Age of Apocalypse timeline. Given that, my covering of this issue is much like why I covered the non-Legion Quest X-books that preceded Age of Apocalypse: this is stuff coming out on the “other end”, the border, “bleed,” or whatever butting up against the Age of Apocalypse without actually BEING an issue of that.. While rarer than the Alpha or Omega issues in bargain bins, I certainly would not pay much more than cover price for this (and that would be a grudgingly-paid price). I’d seek this out to use as a starting point diving into any or all of the X-books of the time but certainly not if you’re only interested in the Age of Apocalypse. Unlike contemporary Marvel, this does not kick off “the next” EVENT but rather gives the individual titles time to flex and explore their own things for awhile before everything heats up again with the following year’s Onslaught stuff. We open on a new/arbitrary character–a father holding his child, as people are given over to Rasputin for upgrading, a last chance to stand with mutants without being eradicated. We then move to our Phenomenal Five (I saw THAT term in the monthly checklist on the X-Books This Month section) who have been captured and are helpless…at least until a contingency plan kicks in. Meanwhile, no one’s told the humans of the atrociously low survival rate of the upgrade process, that only one in a hundred-thousand survive any length of time and few of those survive indefinitely. Stark’s plan kicks in, and the humans begin breaking free, and the rebellion is on. After the battle, few humans are left, but they’ve acquired technology from Mikhail’s ship and make a last bid for permanent escape from Apocalypse’s rule. This issue is all over the place. And when it ends…I only know it does because there are simply NO MORE STORY PAGES. There’s no particular icon or note or any indication the last page is the last page. It has all the makings of a second-to-last page, that you’d turn the page for some full-page image to finish out the series, but instead it turns to a double-page ad, then a double-page info/profile section, another couple ads, and that’s that. The art’s so-so…not bad, not spectacular, and a bit minimalistic at points and just somehow looks a bit "off" from the rest of the Age of Apocalypse. Of course, multiple pencilers and inkers, suggesting (to me, with contemporary sensibilities) that this issue had run behind and needed to be caught up in a hurry to get it out on time. That’s also something that suggests further to me that this series was an afterthought of sorts, a late addition to the AoA stuff. The story’s also only so-so. 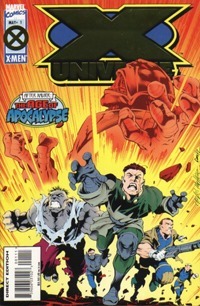 It could certainly be worse, but it doesn’t really feel like it has any real significance, given we’ve had no real reference, even, to these characters, nor any dealings with Rasputin elsewhere in the AoA, so this is just stuff going on "in the World of the Age of Apocalypse" and can be pretty safely ignored in the grand scheme. 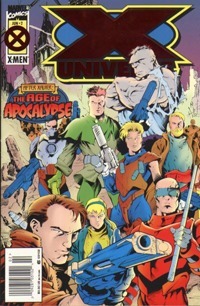 Another element that lends the notion of this X-Universe series being set apart from the rest of the AoA is the covers. These are $3.50 cover price with cardstock covers and foil-ized logos. The chromium double-size bookend issues make sense as they’re "special," kicking off and concluding the entirety of the story. But the issues in-between have all been standard covers with no fancy enhancements or foiling or such. This mini just reeks of typical ’90s saturation. Unless you’re–like me these last number of weeks–specifically determined to read the entirety of what was published as part of this original Age of Apocalypse series, this seems like a safe mini to skip. And I’m thankful to be through this because now I can jump into the #4s and the final parts of the story, as the various threads in the minis begin to–finally–pay off. We open on the familiar face of Gwen Stacy–dead in the regular Marvel universe but obviously alive in this altered reality of the Age of Apocalypse. She’s essentially a humanitarian worker here…saving those she can in Wakanda, though she quickly is reminded she can’t save everyone. Fisk and Osborne–Marauders–have arrived…though they’re almost immediately challenged by a Stark cargo ship carrying Tony Stark and Clint Barton. Once the Marauders are dispatched, there’s a reunion on the ground between Stark and Donald Blake. Shortly after, Mikhail Rasputin arrives on a peace mission from Apocalypse…though upon inviting Stacy, Stark, Blake, and others into his ship, his true colors stand revealed. "Passable" is the first word that comes to mind on the art, though it’s not quite the word I’m grasping for. The art works here and I really don’t have a problem with it–but it’s nothing special or spectacular. Given the nature of this book, one probably shouldn’t expect too much of it as this is possibly the most "fringe" book of the Age of Apocalypse arc. I could say the same for the story–I’m far less engaged by this than I’ve been with any of the other issues of AoA thus far. The story itself isn’t horrible or anything…it just fails to really draw me in or make me "care." So far, we’ve been presented with a specifically X-centric take on this Earth–where mutants rose to power, crushing humanity beneath their collective heel. As an X-centric story overall, we’ve seen no appearance of nor any real reference to the likes of Iron Man, Captain America, the Avengers, the Hulk, the Fantastic Four–any of the "non-X" groups of characters or solo characters of the Marvel universe. This 2-issue series seems geared specifically to deal with that fact, by presenting us with a bunch of characters and references to off-panel prior deaths and such so as to not leave ’em out of continuity ENTIRELY. While i’m quite glad for the addressing of continuity in this way, trying to answer the question of what happened to these various other characters–the execution leaves plenty to be desired, in my eyes. I’ve been quite content to consider that the Human High Council in Europe "speaks for" humanity, and to "assume" that the likes of Spider-Man, the Fantastic Four, the Avengers, and any younger characters had the entirety of their origins derailed by Apocalypse’s rise to power and thus would be faceless humans on the whole. Given that…this series’ existence makes sense, but is a definite step away from the rest of the AoA issues, involving non-X characters. This mini does not seem to tie into any of Magneto’s plans nor have anything to do with him or any of the other X-groups, and as such this is largely "filler"…worth a read if you want a take on the non-mutant characters, but (for me) not at all essential to the rest of the AoA-verse. Ten issues in, and now we’re suddenly, supposedly…um, back where we started, I guess. The new, the superior, Doc Ock is Spider-Man, in Peter Parker’s body…and there is no Peter. Wasn’t that what the original premise seemed to be? But then we had Force-Ghost Peter, revealed that last page of #1, and I was excited for this series, beyond the tentative trying-it-out. Well, ok, I admit some sarcasm’s leaking through in this post. Even though I’m being the usual, purposeful vague in summarizing things–I prefer not to spoil an issue, and heck, too much detail in the summary sorta defeats the purpose of you reading the issue yourself. But having read this issue…I’m just feeling rather sarcastic toward the issue, and the series. The art’s pretty much consistent with the run so far, so nothing really to complain about, there. It fits the title, and the story, as it’s been what we’ve had. I have no real issue with it overall, though it’s a bit stylistic and such…not what I’d necessarily choose or want specifically for Spider-Man, but after taking a half-decade sojourn from the Spidey-verse and coming back in for the Ock-and-Parker-Swapped bit…it’s worked. Story wise…I’m just disengaging. Disinterested. I hesitate to use the word “bored,” but I’m just losing interest so fast in this title, and even the status quo. I remember reading Amazing Spider-Man #700 at the turn of the year, backtracking almost immediately to #698 and #699, and having to wait til mid/late January for the premiere of Superior Spider-Man #1. but here we are, not even June yet, and we’ve got 10 issues. That’s basically 2 issues per month for January through May…at $3.99 apiece. That’s 3 1/3 issues’ difference in pricing at this point…or another way of looking at it, for only $1 less per issue, I might go another 5-10 issues before burning out on sheer price point alone. But I’m no longer impressed. My patience has worn out. And this issue, toted as a jumping on point from what I saw in stuff “about” the issue this week…well, I should’ve left this on the shelf. And while I’d be tempted to at least give it til issue #12… Well, where’s the “wholeness” in 12 anymore, what USED TO be a single, full year of a title…when at this pace that’s a mere 6 months?